Connecting girls to Creative Industry leaders. 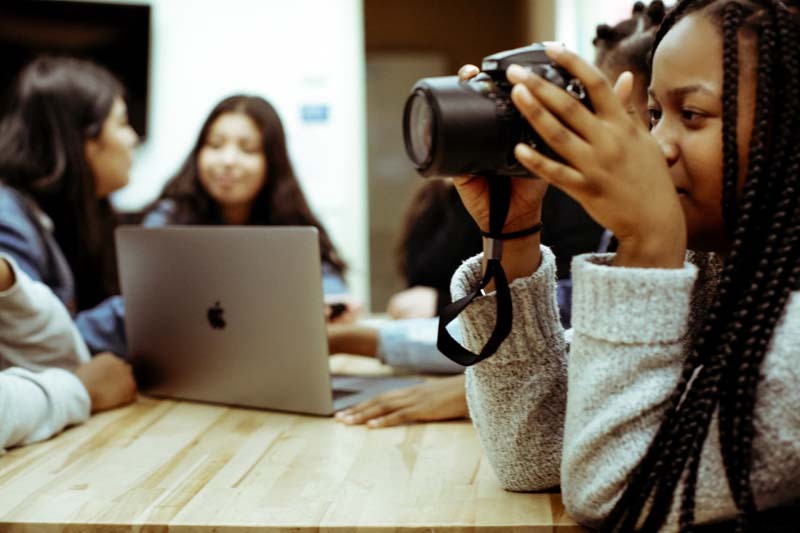 Empowering girls through meaningful connections to Creative Industry leaders. Increasing diversity while creating opportunity. Becoming a mentor is a short term commitment, that has long term impact. On-site learning through a semester long internship is a great way to give a dynamic girl valuable insight into our industry. Our semester long classroom projects teach overarching industry concepts, through deliverable creative skills to a small group of girls who are interested and ready to learn. Let us help your company, brand or studio find dynamic entry level candidates that have graduated from our creative industries program. Together we can create opportunity within the industry for a new generation of talented girls. We partner with the college admissions departments of public and private arts & design programs, to create a bridge between secondary education and higher education for students in at-risk communities. Meaningful connections can change lives. Mentorship opens the doors to a new world, and provides valuable insight into otherwise unreachable creative careers. Keep up with all the news from our Dynamic Girls!